WASHINGTON (Sputnik) - US President Donald Trump and Secretary of State Mike Pompeo face an uphill struggle to force other nations to abandon their oil trade with Iran, former European Union consultant Paolo von Schirach told Sputnik. 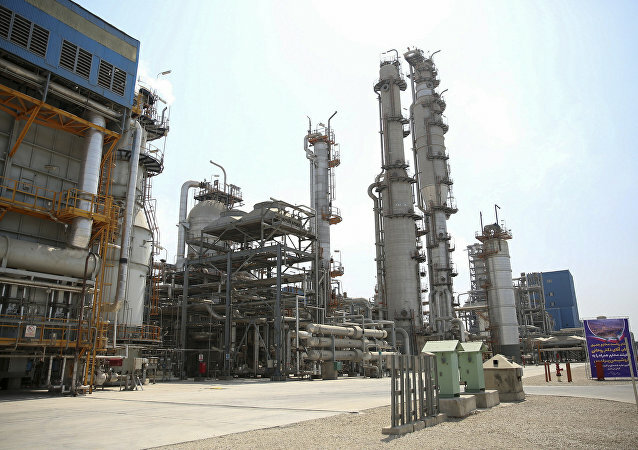 The US government announced on Monday that it would not renew the waivers for Iranian oil importers that are valid through 1 May 2019. The waivers were granted to eight countries: China, Inda, Italy, Greece, Japan, South Korea, Taiwan and Turkey in November 2018. 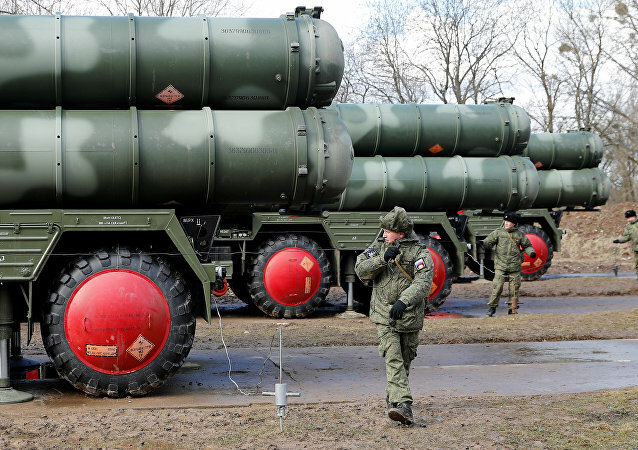 Over recent years, allegations have been circulating in the press that the US may withdraw its nuclear-capable weapons from the Incirlik air base and transfer them to Greece. 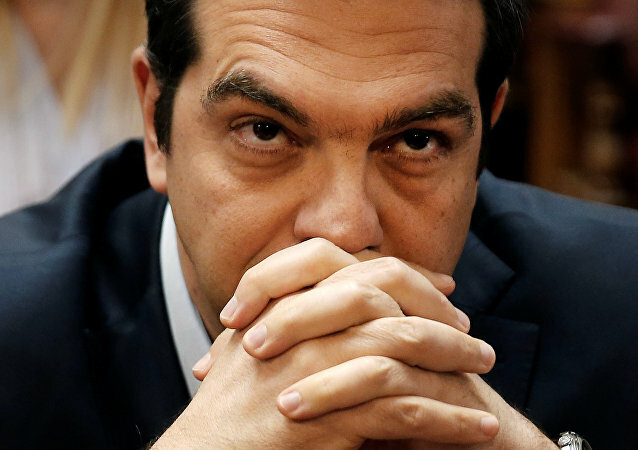 The Greek government has, however, dismissed the claims. 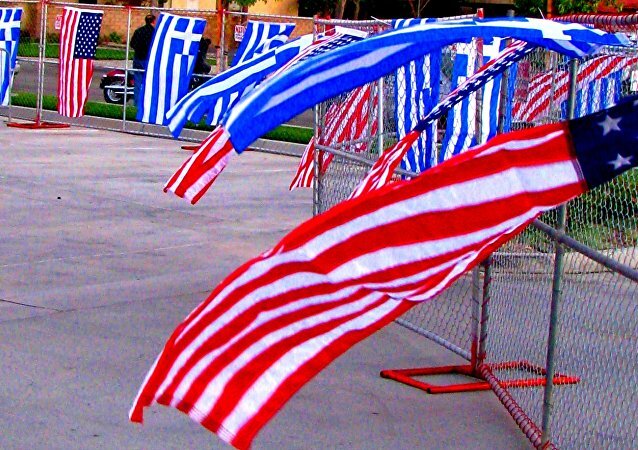 Getting Comfortable: Why is the US Seeking Closer Ties With Greece? The Greek newspaper Kathimerini, citing various sources, has reported that Athens and Washington are considering ways to further consolidate the presence of US weapons systems in Greece. The different options being discussed include deploying more drones and flying tankers to a military airbase in Larissa in central Greece. Earlier this week, Greek lawmakers voted in favour of a resolution demanding that Germany pay billions of euros in reparations for Greece’s suffering during World War II – a matter that Berlin, for its part, insists was settled decades ago. MOSCOW (Sputnik) - A Greek anarchist group has taken responsibility for attacking the Russian consulate in Athens back in March, according to a statement released on the group's website. 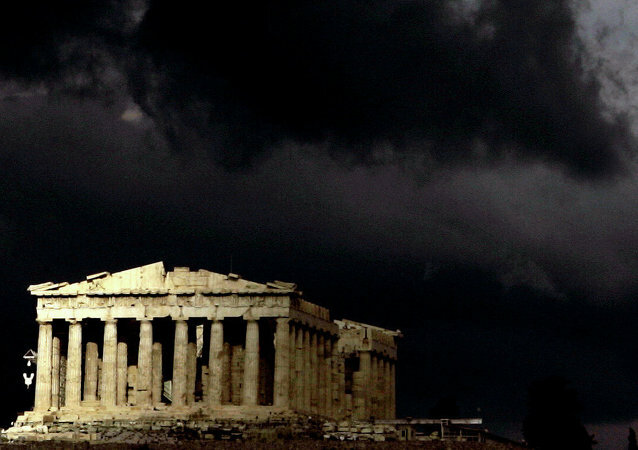 The incident occurred at 4 pm local time as the lightning damaged a lightning rod and hit the booth from where the Acropolis security staff operates, the online news portal Keep Talking Greece reported. WASHINGTON (Sputnik) - The US would expand support for a trilateral partnership in the Eastern Mediterranean between Israel, Greece and Cyprus, as the three nations develop large natural gas fields in the region under legislation introduced by US Senators Bob Menendez and Marco Rubio. 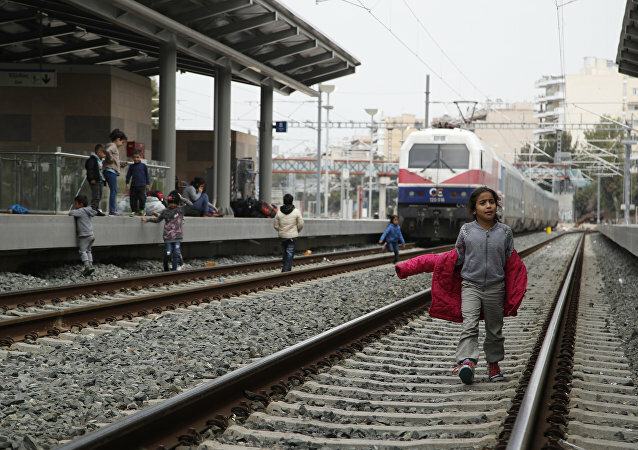 Dozens of migrants started a sit-down protest in Athens’s Larisis station on the morning of 5 April, suspending all railway services, reportedly hoping they would be transported to the Greek border and join others expecting to restore a 2016 migration path towards northern Europe. WASHINGTON (Sputnik) - The United States is considering expanding its sales of the F-35 fighter jet to five additional countries, including Greece, Romania and Poland, Pentagon’s F-35 Program Executive Officer Mathias Winter said in written testimony submitted to Congress on Thursday. ATHENS (Sputnik) – The first meeting of the Greece-North Macedonia Supreme Cooperation Council, held in Skopje after the meeting of Greek Prime Minister Alexis Tsipras and his Macedonian counterpart, Zoran Zayev, marks the beginning of strategic cooperation between the two countries, the AMNA news agency reported. 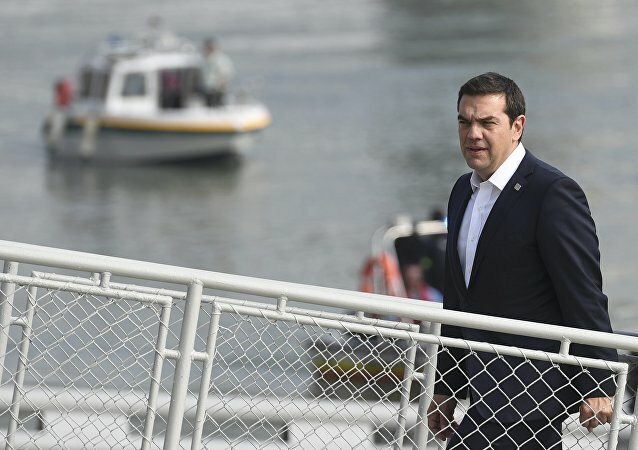 ATHENS (Sputnik) - Greece and North Macedonia have decided to take the two countries' diplomatic relations to a new level and exchange embassies, which will replace the existing liaison offices in Athens and Skopje, Greek Prime Minister Alexis Tsipras announced on Tuesday. 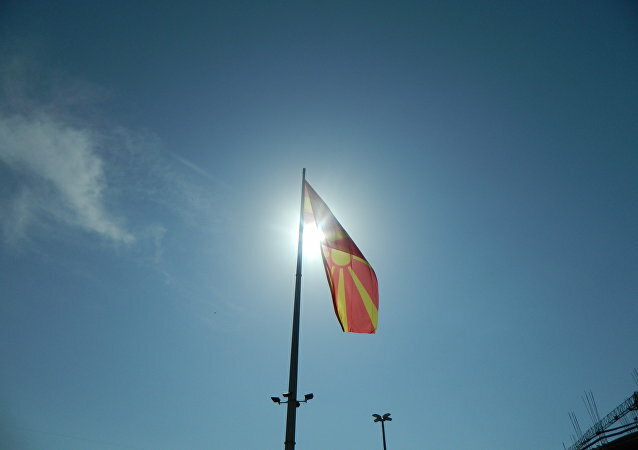 ATHENS (Sputnik) - Half of the businesspeople from Northern Greece retreated from going on a visit to Skopje with Greek Prime Minister Alexis Tsipras in a sign of their disagreement with the bilateral deal on renaming Macedonia to North Macedonia. 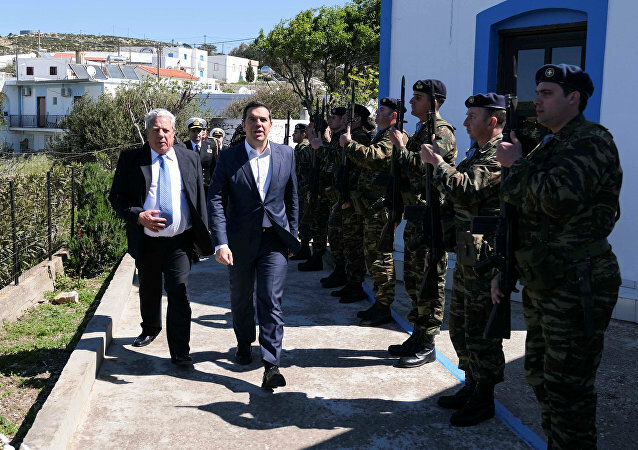 The incident happened while the Greek prime minister was on his way to the small eastern Aegean island of Agathonisi, located not far from Turkey, to deliver a speech during Independence Day, several media outlets reported. ATHENS (Sputnik) - Two people threw an explosive device at a police booth near the Russian Consulate in Athens, the Russian Embassy in Greece told Sputnik Friday. The two countries in the Eastern Mediterranean, as well as Cyprus, have been boosting their ties, strengthening military and economic cooperation, including the planned construction of an East Med underwater pipeline with the estimated cost of $8 billion. ATHENS (Sputnik) - Bolivian President Evo Morales on Friday called upon Brussels to support a political dialogue in crisis-plagued Venezuela, noting that there had been many interventions from outside forces throughout history that had only resulted in democracies being toppled.